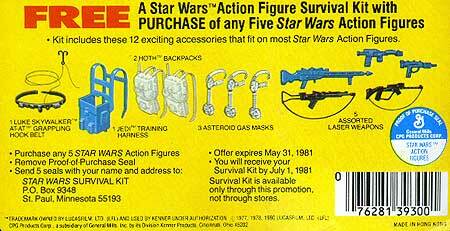 The first two images show the artwork for the Survival Kit Offer as it appears on the ESB41A cardback. The artwork is all hand-painted and appears to be done at a 2:1 ratio. The second image is of the actual cardback once text has been added. 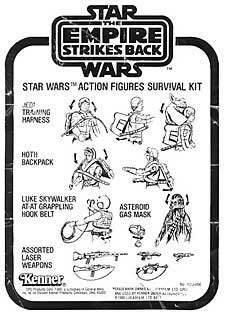 The next image is the original hand-drawn artwork for the flyer included with the Survival Kit. Each piece was drawn on a seperate piece and pasted to this board. 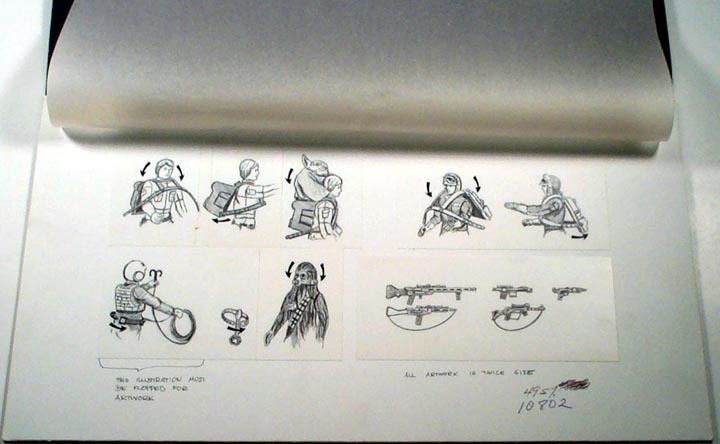 If you look in the lower left corner, below the Luke X-Wing, the text reads "This Illustration Must Be Flopped for Artwork". Take notice of the final flyer and you'll see that it was reversed for production. 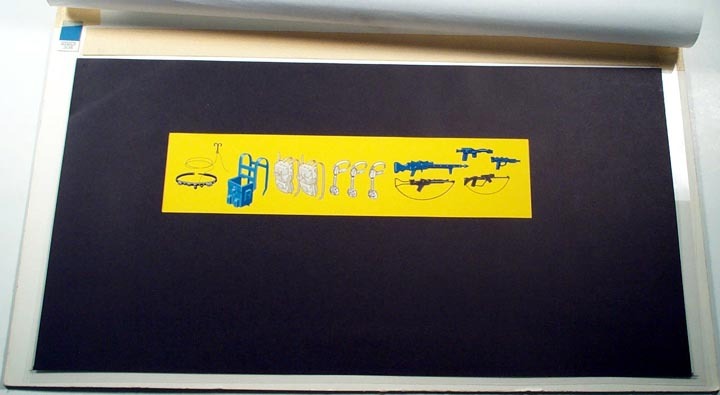 The final bit of text in the lower right, below the guns, says "All Artwork is Twice Size". Just below that are notes indicating that the final flyer will have artwork at 49.5% of the original's size. Original artwork for the toys is the pinnacle of collecting for those most interested in packaging and these are without a doubt top shelf pieces.